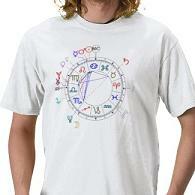 Zodiac Gifts - Place your Birth Chart on T-shirts, Mugs etc. This is a very unique gift idea that's fairly simple to create. 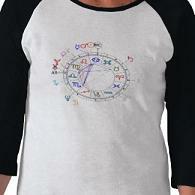 To put your customized birth chart on clothing, mugs, cards etc. just follow the directions below. 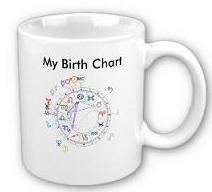 A) Go to Birth Chart Calculator and enter the birth data of the person the gift is for. B) Once you have drawn up the chart place your mouse pointer in the center; right click mouse and save image. 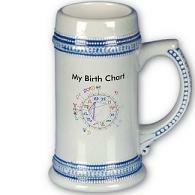 If you wish to purchase either the mug or stein there is no need to resize the birth chart image. 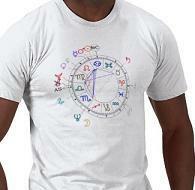 D) Once your birth chart image is ready simply choose an item from below. 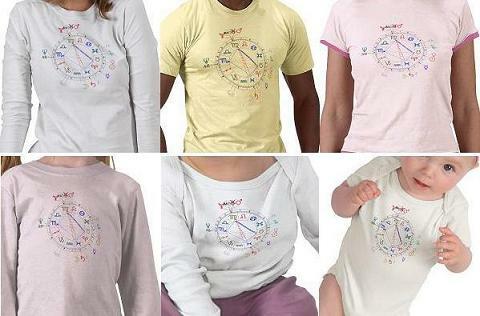 When the order form comes up (give it time to fully load) you will need to either clear or change the current image and upload your own birth chart image. 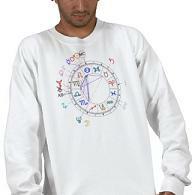 You can then change the style, color or size to suit your product needs.